Savage: The Battle for Newerth was originally released by S2 Games in 2003. These guys have since made other games like Savage 2, Heroes of Newerth, Strife and Savage: Resurrection that is based on Savage: The Battle for Newerth. Make sure to check out their website! From 2005 to 2007 the game was improved by the SEP/SFE team, including notably the legendary "Uttar" and "WhiteDwarf". The roots for Savage XR were set with the foundation of Newerth.com in 2006, stemming from the competitive clan website of "Evolved" and its forum community named "The EvO Community". 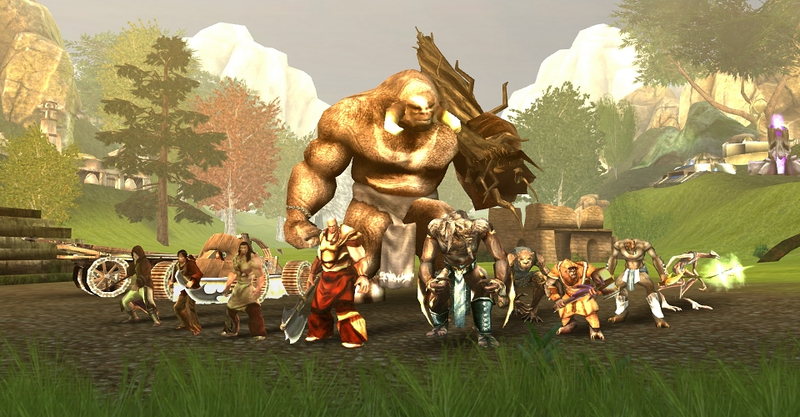 The administrators of "Evolved" found it difficult to get people to contribute to their community because of the inter-clan rivalry and the competitive nature of Savage. These limitations were thus overcome by founding Newerth.com, which soon became the home of the whole Savage Community. In 2007 Newerth acquired the source code for Savage: The Battle for Newerth and announced its continued development with Savage XR. A complete list of fixes and features can be found in the XR beta, XR 1.0, XR 1.1, XR 1.2 and XR 1.3 release topics.